Dan, I would also add that many of our clients are very excited that LuxTag does NOT have a pump and dump token associated with it. Our clients, which are real by the way, just want to use blockchain, not be involved in having to have their clients collect many different tokens just to use the products. In fact, so far we have made a 0 bar to entry for all of the users/customers of our clients. Users just download the app and scan. And that is the way it should be. Our clients interested in blockchain’s real utility don’t want to be bothered with their clients having to go to exchanges and trade tokens just to scan something. That is stupid. Are you using the public or private NEM blockchain for your business?! We’re using both mutations for LuxTag. For example our customers DeFeet (Fashion/Apparel) and Poesy Liang(Artist) are on the NEM public chain. The Malaysian e-scroll university graduation certificate system runs on a private NEM Catapult chain. We’re working on the chain anchoring solution to hook the private chain(s) to the public mainnet chain. I understand that there is notarization efficacy if it is a public chain. Why does a private chain hash have a notarization efficacy? Do you use cross-chain swap? The core features (immutable over time, timestamped events saved in blocks) required for notarizing are available in a private chain same as they are in a public chain. But - one has to trust the operator of the private chain. In order to enhance trust in “data not being tampered with”, it helps to create a link from the private chain to the public chain. For example, we could simply send every X-th block hash to the public chain in order to show the public that this is the block which was signed in the private environment. We are excited to announce that LuxTag received its fourth and final milestone payout this week, crowning a very successful period for our startup! LuxTag receives final milestone payout, crowning a successful period for our startup. LuxTag launched six projects in five different sectors. 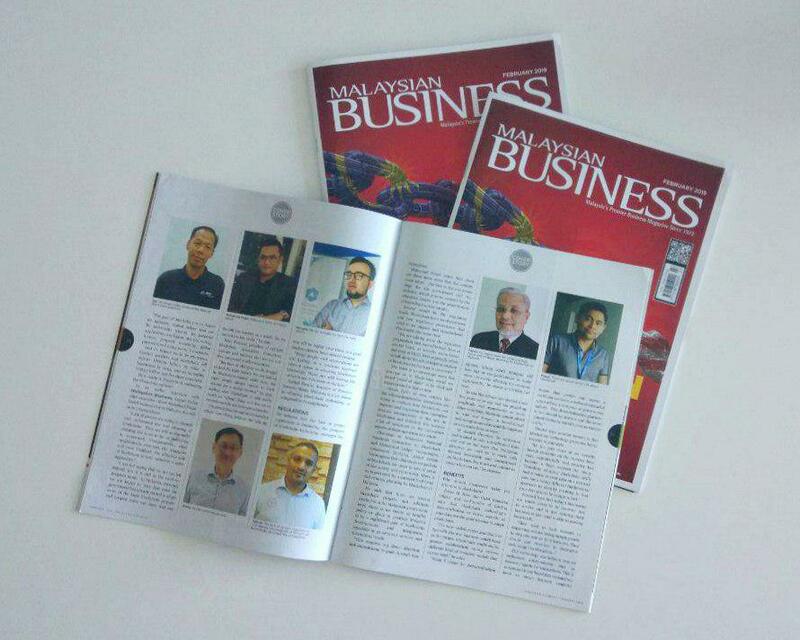 LuxTag’s CEO, Rene Bernard, and CFO, Faeez M Noor are featured in the latest issue of Malaysian Business Magazine. Find their exclusive interview in the " Blockchain Prospects and Challenges" article! we have great news! LuxTag received the “Most Engaged PRIDE Company 2018” Award by MDec (Malaysian Digital Economy Corporation)! we have great news! LuxTag won the “Most Engaged PRIDE Company 2018” Award by MDec (Malaysian Digital Economy Corporation)! Congratulations, fantastic update! The Malaysian government is working very hard on developing a digital economy and wonderful to see LuxTag being recognised for this. Well done to the team! We have good news! LuxTag partners with Dagang Net, a reputable IT services provider, to offer blockchain-based eServices. LuxTag and DagangNet announced the signing of a collaboration agreement to provide eServices based on the blockchain technology. We’re all about serious work but it doesn’t mean we can’t have a little fun after the day finishes! Authenticity enforcement doesn’t need to be boring!